SKIDDOO YOUR WAY TO EUROPE WITH FLIGHTS FROM $1,150! 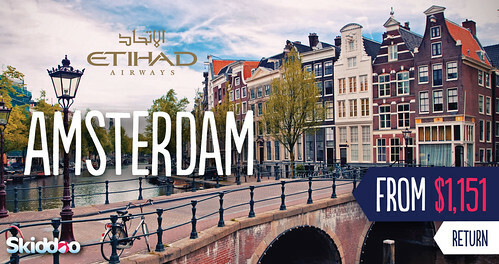 If it’s been a big year and you are looking to escape before the silly season starts, travel booking site Skiddoo.com.au makes it easy for you to skedaddle to Europe with some special deals flying with Etihad Airways. The special deals are for new bookings made before 15 August 2014, for flights departing between 1O October to 10 December. Other terms and conditions apply. See www.skiddoo.com.au for more details.